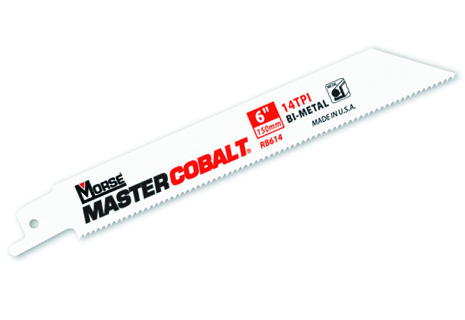 The Master Cobalt® Metal reciprocating blade is the best choice for cutting any machinable metal up to 1/4" in thickness. Available in .035" thickness for flexibility in tight spaces, .050" thickness for increased rigidity and heavier feed pressure and in .042" thickness. Blade widths 3/4" provides flexibility and 1" width provides rigidity and beam strength.